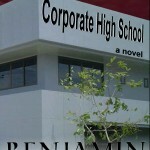 Benjamin Gorman (a member of the Salem chapter) is excited to announce that his second novel, Corporate High School, is being published by Not a Pipe Publishing and will be released on June 12th. This timely YA dystopia describes a future where a single corporation has taken over the world by taking over the public schools. Harriet has to start at a new corporate high school because her father has lost his job and her mother has been thrown into a corporate prison. But something odd is going on at Harriet’s new school. If she can crack the code, she might learn a way to fight back! Check out www.TeacherGorman.com to learn more about the novel and order your copy! 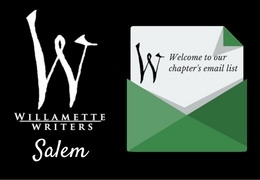 The Salem Chapter meets on the 3rd Wednesday of the month, 6:30-8:30 p.m. at the Salem Public Library (Central Library, Anderson Room B).